Congratulations to Pam Wright, of Wenatchee, WA for being our fourth iPad 3 winner! Pam is an incredibly motivated agent who found ePropertySites a few months ago while searching for a good virtual tour tool. New to real estate, her 20-year background in sales and marketing gives Pam a deep appreciation for a well designed visual presentation, and she knew she wanted to create beautiful virtual tours to include in her MLS listings. 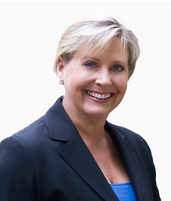 For Pam, finding ePropertySites has made an enormous positive impact on her business. Home prices have stabilized in Pam’s market, and are slowly beginning to rise. The market is definitely picking up, and from investors to retirees to first time buyers, Pam’s inaugural year in real estate has been chock full of variety. Close to several of Washington state’s most popular vacation destinations, Wenatchee attracts a wide range of folks who can’t wait to enjoy the area’s 300 days of sun per year. With a firm focus on technology, Pam’s goals for herself this year include continuing to provide as much value as she can to her clients and starting a real estate blog. ““I moved so many times for my marketing jobs,” Pam said. “I always enjoyed the buying, selling, and negotiating of real estate. This plus my marketing experience gives me the unique perspective I need to succeed as an agent. Getting an iPad was actually part of my business plan for this year!" She plans to use her iPad for listing presentations to help clients visualize all the services she provides. Pam also focused on getting referral points. “I took one of the sign riders with a text code to our business meeting,” she said. Communicating how popular her riders have become has helped Pam introduce ePropertySites to many of her colleagues. She also told us one of the neighbors came by when she was hanging a rider on one of her listings. He loved this marketing approach so much he asked Pam to sell his house! One of Pam’s other listings, a gorgeous luxury property on Lake Wenatchee, saw little activity until she put up the rider. Suddenly, Pam said, interest in her listings exploded- not just from prospective buyers, but from other agents as well. With just one year under her belt, Pam is rapidly making a name for herself as an innovative and forward-thinking marketer in her area. Pam’s advice for other new agents would be: “Decide on a strategy and focus on it; work hard to learn as much as you can right away." Pam’s impressive focus and determination helps her to succeed every day as a new agent, and won her a brand new iPad 3!